If you are considering joining us here at Northwest to train for a career as a pharmacy technician,it is important that you understand the salary prospects for the role. This allows you to build a fuller picture of what the financial rewards of becoming a pharmacy technician are. To help you build that understanding, we’ve put together this guide to how much a pharmacy technician can earn in Nevada. What Determines A Pharmacy Technician’s Salary? As a general rule, a pharmacy technician’s salary is affected by three factors: geographic location, experience and qualifications. Pharmacy technicians operating in urban areas can expect to have access to higher salary ranges. While those in rural areas, where the demand for pharmacy technicians is lower, are more likely to be on a lower salary range. Experiences is another key factor in determining potential earnings. As with all professional careers, greater experience in the role leads to a higher potential salary. A pharmacy technician who has been working the the field for a decade can expect to earn significantly more than one who as just graduated. While pharmacy technicians in Nevada need to be licensed, they do not need to be certified. 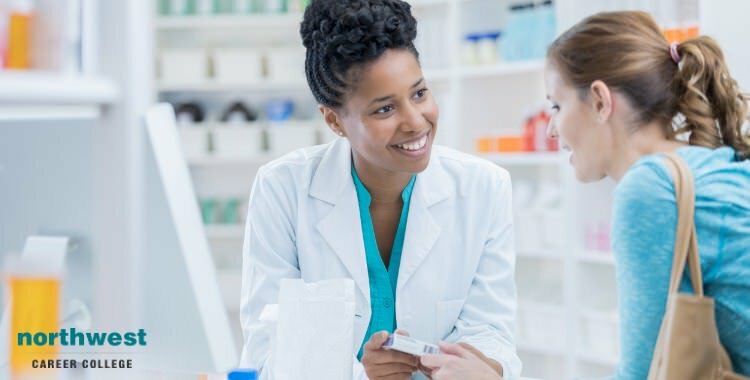 Continued education within the profession and eventual certification as a pharmacy technician can help to boost the amount you can expect to earn in the role. The American Medical Association estimates the average starting pharmacy technician wage to be around $19,000 per year. This wage bracket is not expected to change for those pharmacy technicians with under four years of experience in the role. After four years of experience, the average salary for a pharmacy technician rises to around $30,000 across the country. The annual mean wage in Nevada, according to the Bureau of Labor Statistics, is $36,000, making the state an excellent location to work as a pharmacy technician. With the addition of certification and experience, a pharmacy technician’s salary can be expected to rise to in excess of $40,000 a year. The employment prospect for the role as also increasing, with the Bureau of Labor Statistics estimating that, over the next 10 years, an additional 47,600 pharmacy technician positions will be created, making now an excellent time to consider training for a career in field.